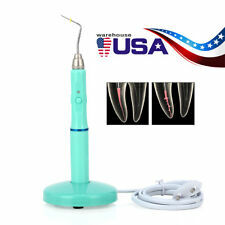 (NSK Style Dental PANA-MAX E-generator LED 3 Way Spray High Speed Handpiece. Triple water spray, LED handpiece integrate E-generator. Handpiece 1. It is mainly for your piece of mind and comfort.). For the LED bulb, continuous use of up to ten thousand hours, don't need to change the pipeline, easy to use; The world dental chair two holes, four holes. PANA-MAX is the latest of NSK's popular PANA series. Self-power LED generator light. Rotating speed: 350,000 to 400,000rpm, 1.6mm burs. Big head / torque, Ultra Push Button. Clean Head System. Product Features. (KAVO Style Dental LED E-generator High Speed Handpiece Big Head 4 Hole 3 Spray. Kavo style E-generator LED handpiece. LED handpiece integrate E-generator: 1 each. It is mainly for your piece of mind and comfort.). Electric knife you can work at temperatures 50 ℃ to 200 ℃ with button. Pen base 2pc. Safe electric current：2 A. The working temperature can be kept even after power off. Two temperture way display (Fahrenheit Or Celsius temperature display). 1x Angled anti fog dental mirror. Premium Grade Stainless Steel. If you do not receive our reply within 48 hours, pls. Polished to High Standard finish. Color: Silver. Product View. This complete kit includes low speed handpiece contra angle model, low speed handpiece straight model and low speed dental air motor. Contra angle handpiece. · - Max speed of contra angle: 25000rpm/min. Body Material Titanium. Gear Ratio 1:5 Increasing. Max Speed 200,000 min-1. Body Coating DURACOAT. Clean Head System. Push Button Chuck. PANA-MAX is the latest of NSK's popular PANA series. -Self-power LED generator light. -Rotating speed: 350,000 to 400,000rpm, 1.6mm burs. -Real Ceramic Bearing. - standard head / torque, Ultra Push Button. Back siphonage prevention sanitation handpiece. 2 x TC4 Surgical Handpiece. Illumination: 4500-4800mcd. Vibration Free, Heating free. and high illumination. Connector: 4 Holes/ External Screw Thread. 5 Pcs Syringe. Material: Stainless Steel. Quantity: 5. Dental LED High Speed Handpiece Standard Push Button 3 Way 2 Hole. 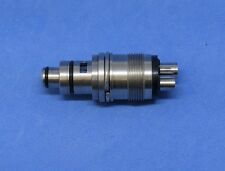 2-hole standard push button handpiece. LED handpiece ×1. Rotation Speed:260,000rpm (torque);350,000rpm(standard). Speed of generator:25,000-30,000rpm. Well balanced ,Quiet, and Durable. Best quality,good performance and easy changing burs with wrench type.Standard head torque. The sale of this item may be subject to regulation by the U.S. Food and Drug Administration and state and local regulatory agencies. 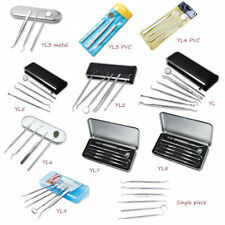 This dental hygiene set includes 1 tweezers, 1 oral mirror, 1 probe, 1 sickle scaler and 1 tartar scraper. Sickle Scaler(17.5cm/6.9"): Help you remove food or tartar deposits from in-between areas of your teeth. Plaque can be removed by using this scaper; Cleaned with a tissue, then repeat until no more plaque on the blade. Dental tartar scraper is made with stainless steel materials. Dental tartar scraper is made with stainless steel materials. 1.E-generator LED handpiece. Dental handpiece turbinesSpecification 1 x LED handpiece integrate E-generator. Unique electric generator, just a little air can generate sufficient power. AIR PRESSURE AT THE GAUGE IN THE DENTAL UNIT:277-316 KPa (2.8-3.2 kgf/cm2).